Sometimes called Good Practice in Child Protection, this is an introductory course. It is free to BMC volunteers and members of BMC affiliated clubs who support activities involving under 18s - such as youth events, youth competitions as well as Area Youth Co-ordinators and those who help with the BMC Development Squad or junior teams generally. It is also free for those in BMC affiliated clubs and it is especially helpful for Club Youth Officers and Welfare Officers. Those attending will receive a certificate of attendance that can be used as proof of attendance in other sporting contexts across the country. To reserve a place, or for further information, please contact Nick Colton by email at nick@thebmc.co.uk. Look out for details of the more advanced Time to Listen course that the BMC will be advertising in due course. This is for those who have attended this, or another similar, Safeguarding and Child Protection Awareness Training course. See link below for more information. Information on types of training. 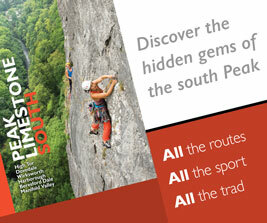 Are you looking to learn new skills, coach or take people climbing, mountaineering or hill walking? The BMC host a wide range of courses, lectures and workshops that could suit your needs. Is someone bullying you, hurting you, or doing something to you that you want to stop. You don't have to put up with it. You have a right to be safe from abuse. There are ways of getting support. Are there 2015 dates yet? Or am I just in the wrong part of the website?